Thank you for having us sing and play our instruments for your Christmas party! We really appreciated the meal. The cakes were phenomenal! As you know, it was Deborah’s birthday, and she said, “That was the most fun I’ve had at a senior luncheon!” We all enjoyed it. 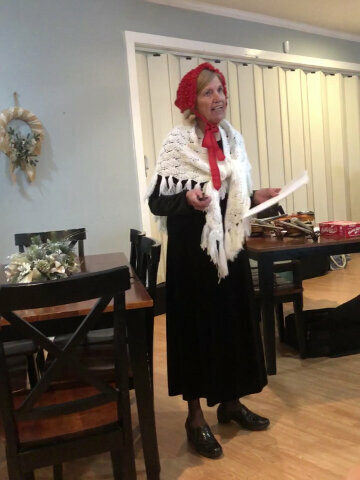 Mrs. Kathy did a great job in her drama presentation of the missionary, Lottie Moon. We learned a lot, and we loved her costume. The Pastor’s Class Christmas Party!